Your garage door would not be able to operate without its springs. These small pieces of equipment withstand tension up to several hundred pounds on a daily basis. Because of this, springs sometimes break with no previous warning. This usually occurs when the garage door is in the down position, but it can also happen when the door is up. A spring giving way when a garage door is up is an emergency because the extremely heavy door will crush everything in its path when it snaps shut. Of all garage door repair issues, this one may be the most critical to let a professional handle. 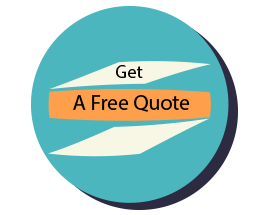 Our skilled technicians have decades of combined experience working with garage door springs. When we arrive at your home or business in Somerville, MA, we let you know the ideal solution for repairing the springs promptly while still keeping safety in mind. 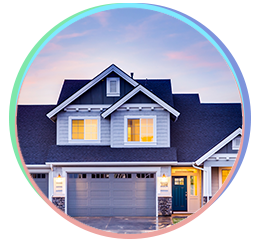 The workers at Community Garage Door Service will advise you on what you can do to keep the springs in good working condition so you can avoid an emergency situation when they suddenly break. Should you require a new part while we are there to fix your springs, we carry a full inventory in our service vehicles. This allows us to repair the problem right then and there so you feel safe and comfortable. The tension strength and weight of the springs for your garage door must be equal to ensure safe operation. That means a garage door that weighs 200 pounds needs a spring that also has tension strength of 200 pounds. A disproportion of weight and tension could result in an urgent situation if the springs suddenly give way. 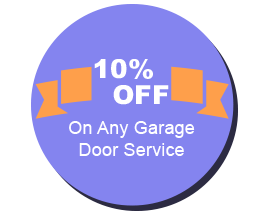 The only thing you can do to avoid the possibility of injury or extensive damage to your garage is to schedule a repair appointment with Community Garage Door Service. Our knowledge about how garage door springs work and how they must have proportional weight enables us to repair them correctly. The torsion springs of your garage door enable it to manage its own weight based on the location of a strong beam near the top. As soon as someone activates the cables, the garage door raises and the torsion springs start the process of uncoiling. All of these steps are necessary for the garage door to open as it should. Coils and torsion springs work in reverse when you close the garage door. It requires a technician with intensive training to manage the weight of the torsion springs. Each spring has a unique wire size, length, and diameter that accounts for its overall durability. The individual components help to determine the total weight a spring can support and the number of times you can raise and lower your garage door before the springs need to be replaced. 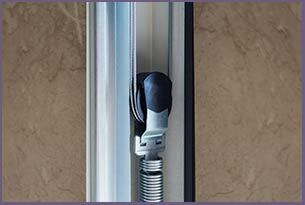 Residential doors typically need one or two torsion springs while commercial garage doors often require three or more. The heavier the weight of the door, the more torsion springs it needs. The job of an extension spring is to extend and constrict in response to the weight of a garage door as someone opens or closes it. These springs make it possible to mount heavy machines that are stored inside of the entire garage door system. When the door goes up, the springs come together to allow it to rise. They return to their regular position as soon as the door closes. Since extension springs contain a lot of tension, an inexperienced person could seriously injure themselves or damage the entire garage door when attempting to repair them.